The Evans ETP-G1CTD-S Drumhead Set is a coated, single-ply drumhead set, featuring the diameters 12", 13" and 16". 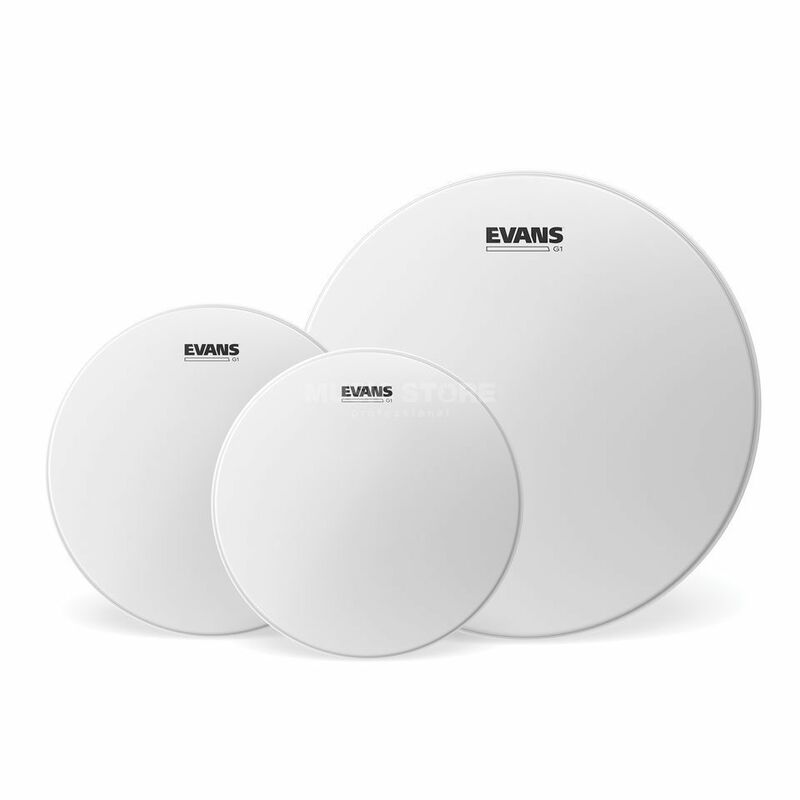 Evans G1 series drumheads feature a single ply of 10mil film blending a bright tone, sustain and sensitivity. These heads set the standard for an open and expressive sound. Tuned low, they produce a cavernous rumble that emphasises the natural sound of the shell. When faced with the challenge of providing musical tones with unmatched consistency, Evans tom heads work on all fronts. With high sustain and tone, and low attack, these drumheads are versatile and suitable for a wide range of applications thanks to a wonderfully expressive sound.